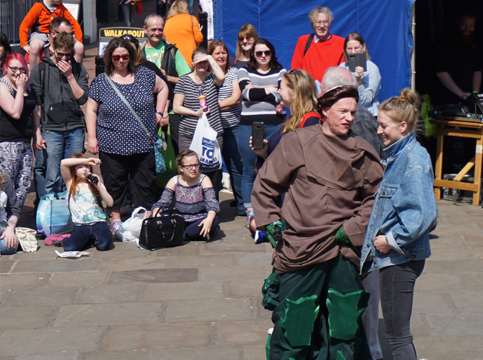 The Lost Boys second venture in outdoor and street performance follows very much in the same vein as their epic stage adventures; Around the World in 80 plays and Voyage to the Centre of the Earth. 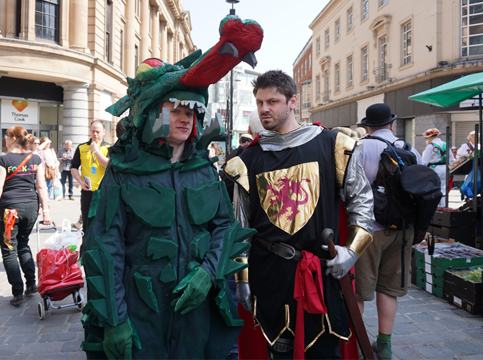 A mad-cap, irreverent, interactive re-imagining of the legend featuring bipedal dragons, a knight and his trusty hobby horse and human sacrifice, all good fun for the whole family. 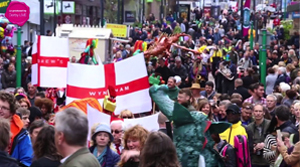 Originally commissioned by Derby LIVE to create a static street performance that provided a tongue-in-cheek retelling of the Legend to celebrate English Heritage, five years later,this has now grown into a full day spectacular with a parade and celebration of all things traditional including music, dance, morris and medieval workshops. 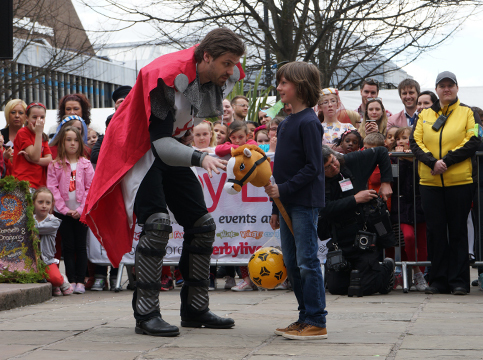 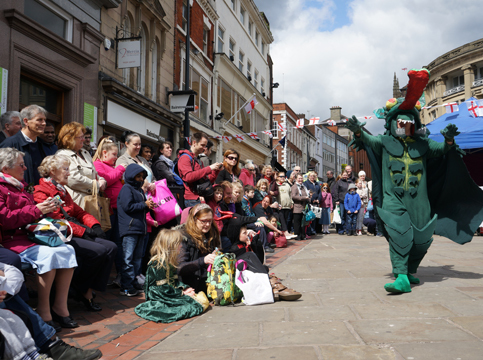 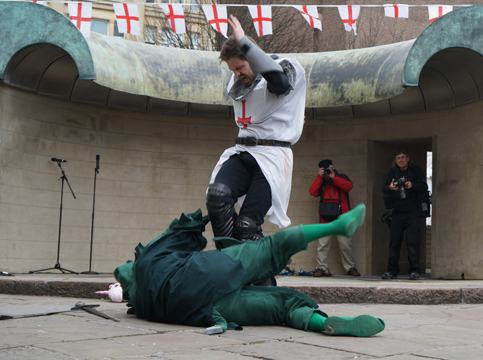 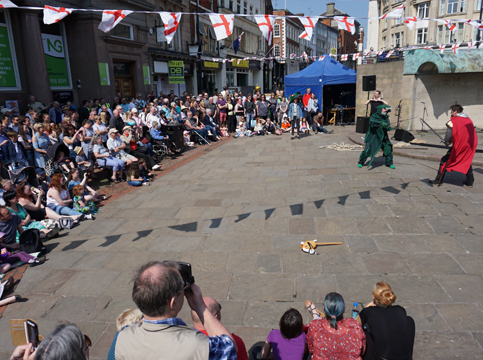 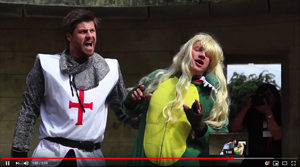 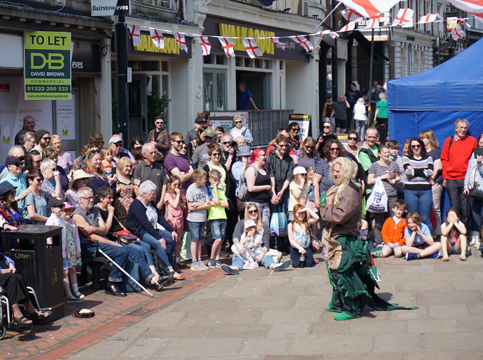 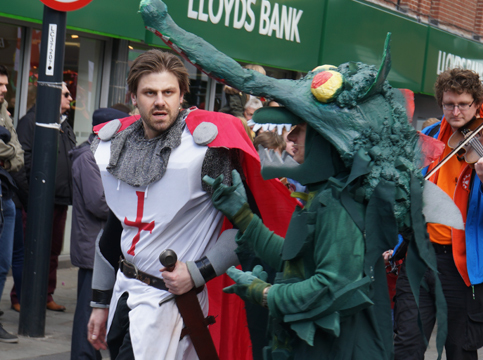 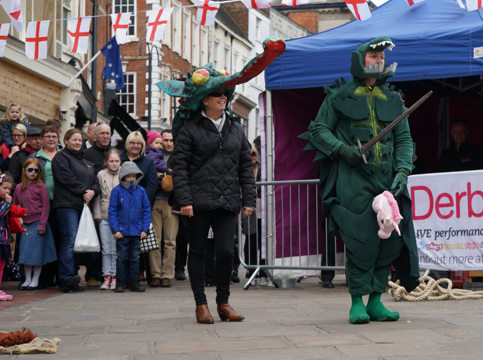 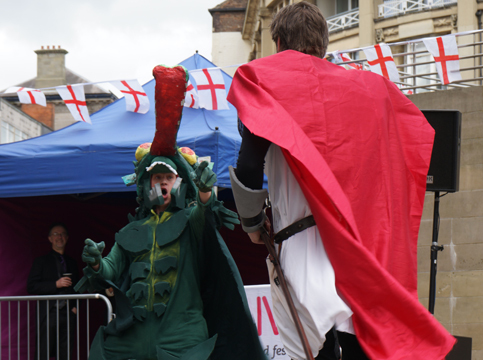 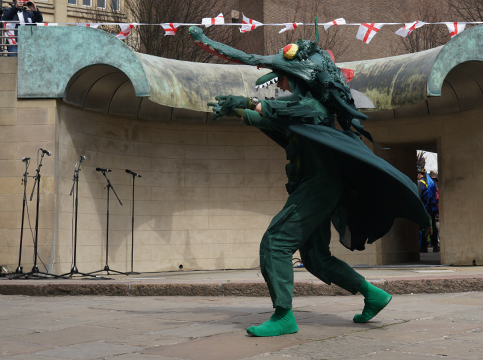 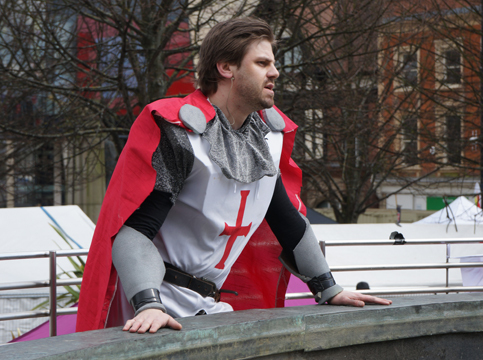 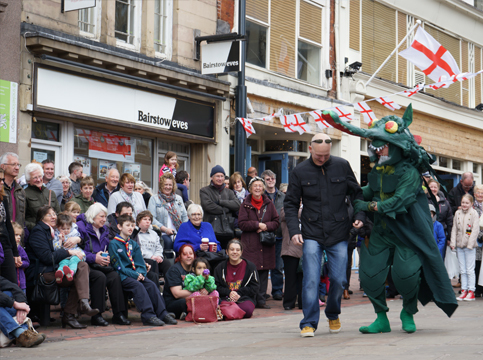 The Lost Boys still headline the day and our interactive street performance as been enjoyed by thousands, who witness a very peculiar dragon threaten the township unless a maiden is sacrificed, that is until St George rides in to save the day...sort of!